Submitted by alfanso on April 23, 2015 – 9:10am. In this edition of what the heck can I do with a tub of dough, I decided to tackle the fabulous batard known as Ken’s Artisan Country Blonde. 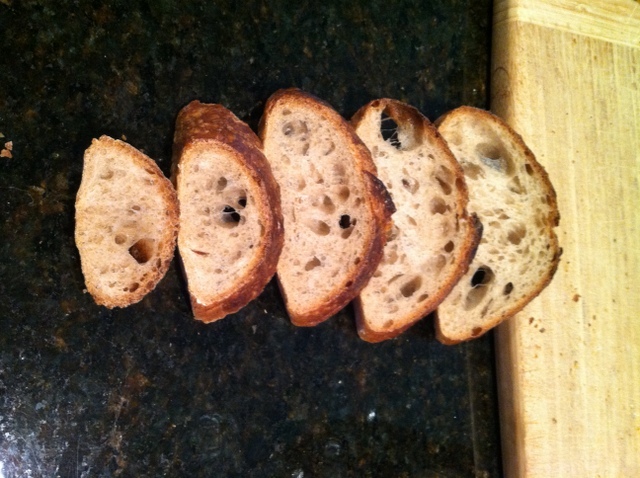 In the first attempt early this week, I mixed 1000 grams of dough and came up with two ~500g batards. As an aside, I am a believer in couche rather than banneton proofing whenever possible. I was pretty happy with the results for a first time out, as evidenced by the first photos. But I decided to up the ante AND sneak in some more baguettes, as improbable as that last part is to believe 😉 . Upping the ante also meant trying to get a batard in the same weight range as what Ken sells, which is in the 750g vicinity. So I made 1500g of dough, carved out ~750g or so for the batard and then divided the remainder into the two baguettes. A 4 hour bulk fermentation, refrigerated for the last hour, followed by divide and shape, and then a 12 hour couched and shaped retard. Then directly into the 470F oven for a bake. 12 minutes of steam. The baguettes baked for a surprisingly long 30 minutes total, and the batard for a mere few minutes more. 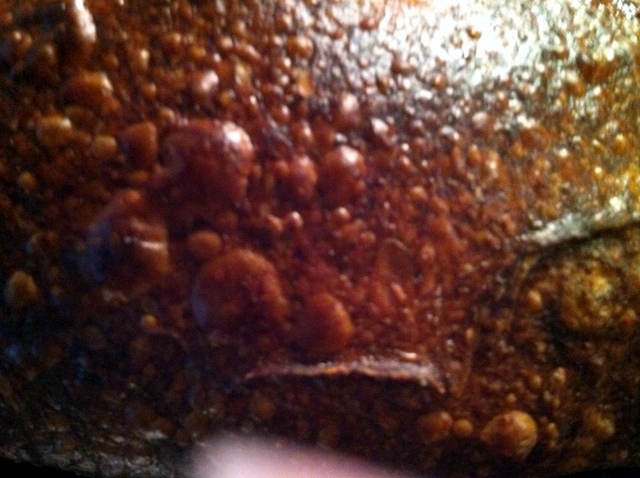 Even after removing the steaming tray and venting the oven while rotating the breads, there was still steam coming out of the vent from the residual hydration in the dough. I would have liked to bake the baguettes to the next darker shade, but after 30 minutes I felt the desire to pull them before they might have burned. 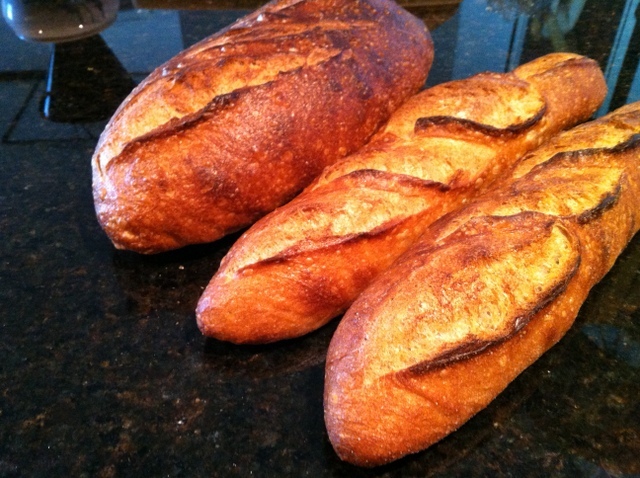 Both the batard and the baguettes are oversized behemoths, although it might not be evident in those last two pictures. I better watch myself or I might just get hooked on batards and kiss my baguette phase goodbye. Naaahh, on second thought, I guess they can play nice and coexist!